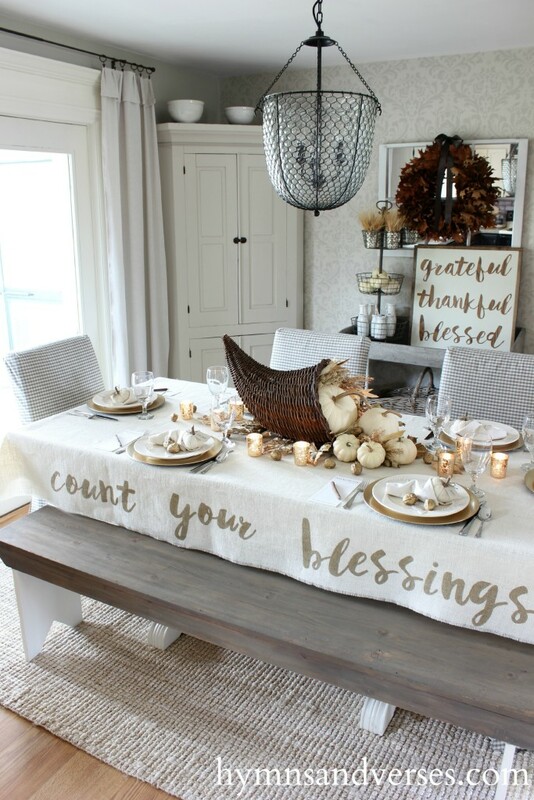 Today we are sharing 22 Holiday Centerpiece ideas that will cover you from Thanksgiving through the Holiday season. 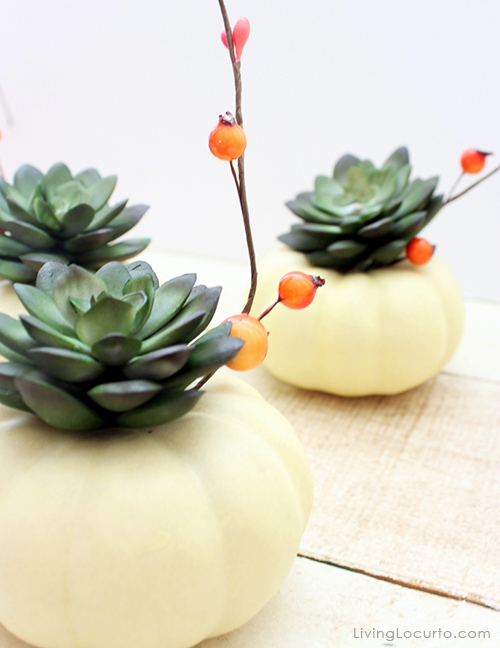 These ideas are simple enough that anyone can make them with just a few supplies. 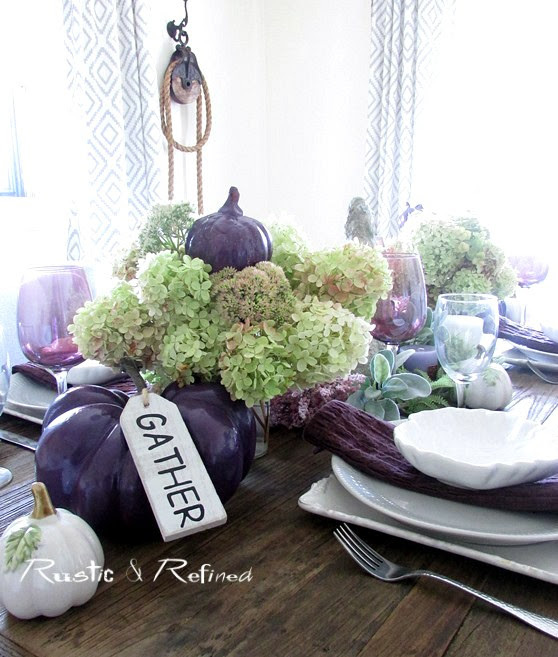 Use natural elements to create a rustic harvest tablescape and get free printables! 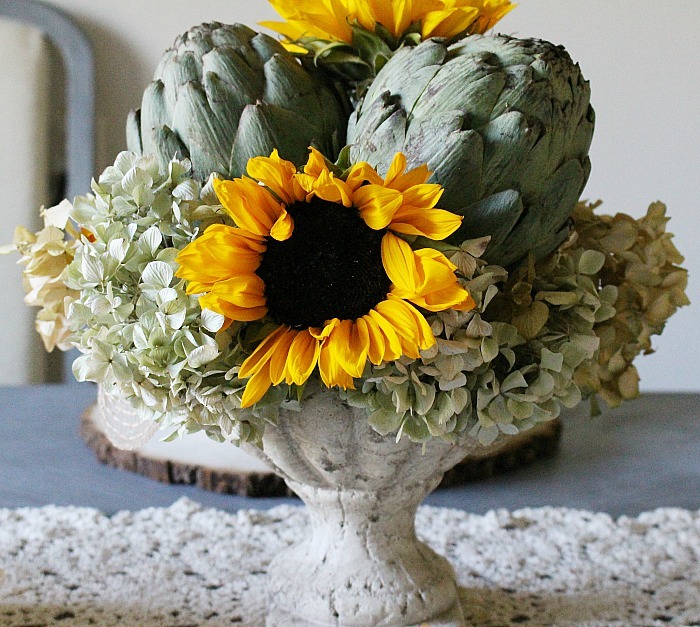 See how easy it is to create a fall centerpiece with artichokes and sunflowers. Hobnail cake plates can be very pricey. 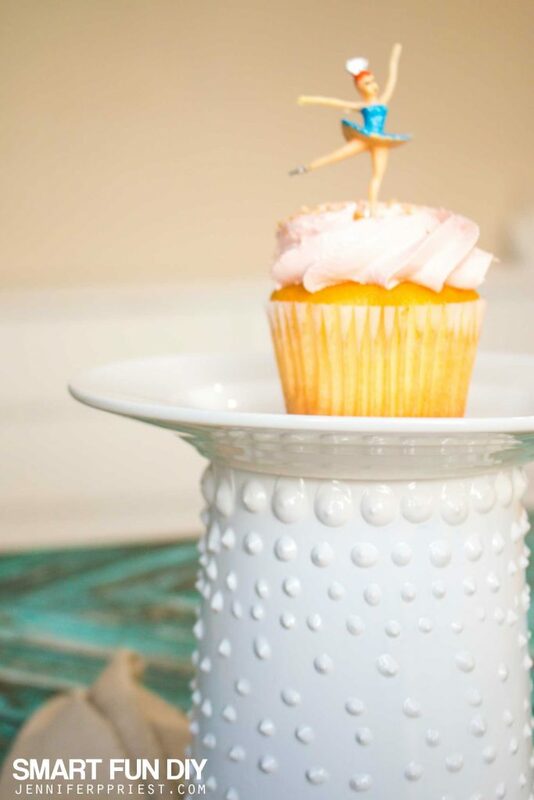 We show you an easy way to create a DIY Hobnail cake plate! 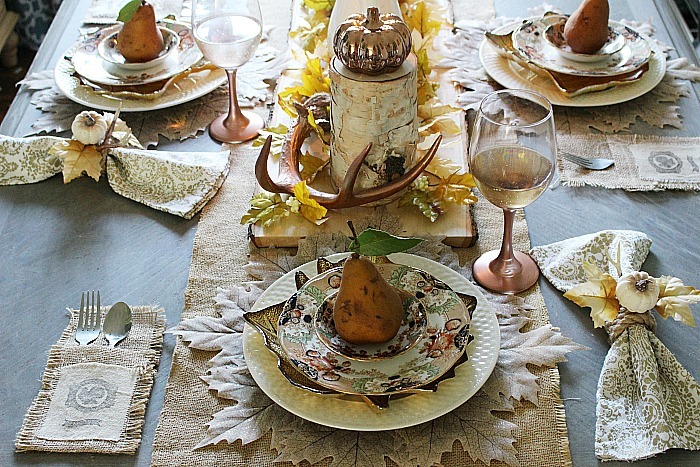 Use pears and rustic elements to create a warm neutral tablescape. 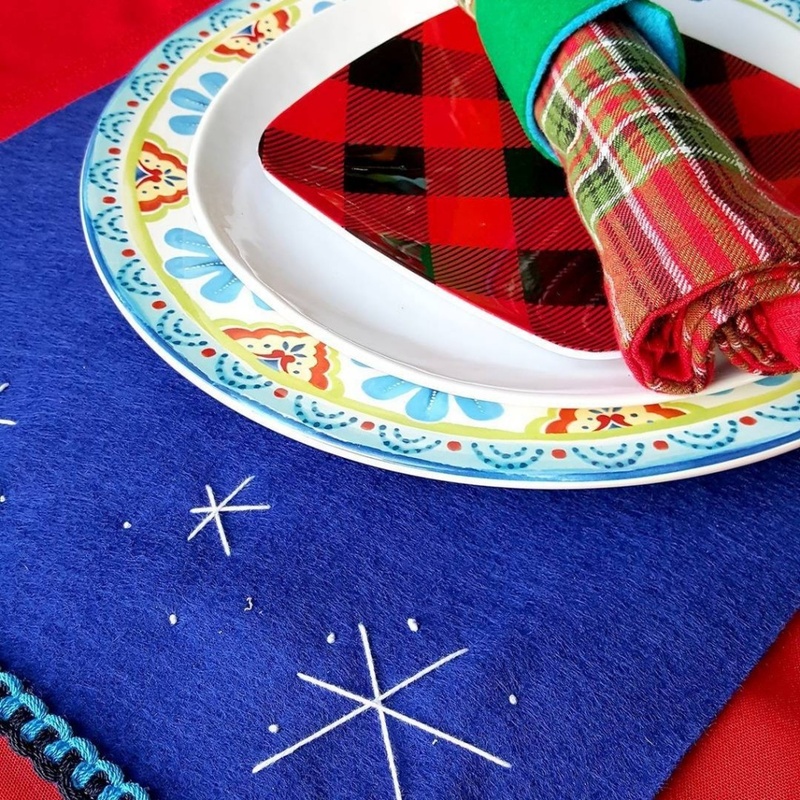 Get the how-to for DIY napkin rings as well! 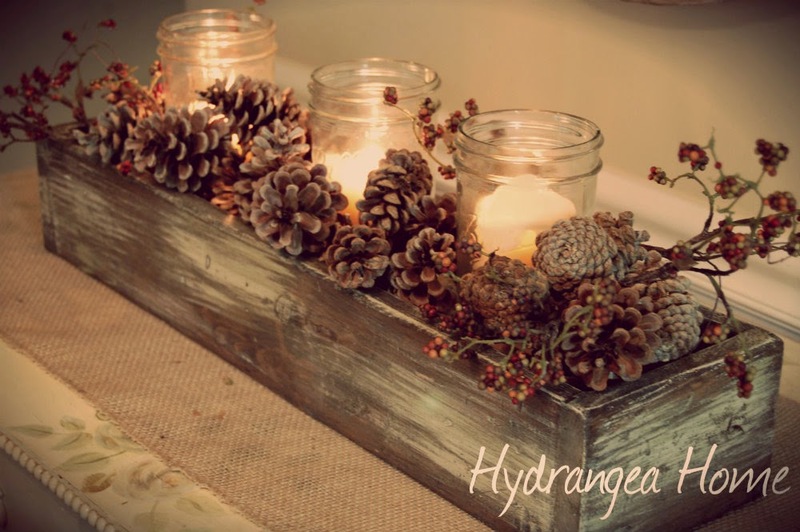 Make a Rustic Planter Box to change out seasonally. 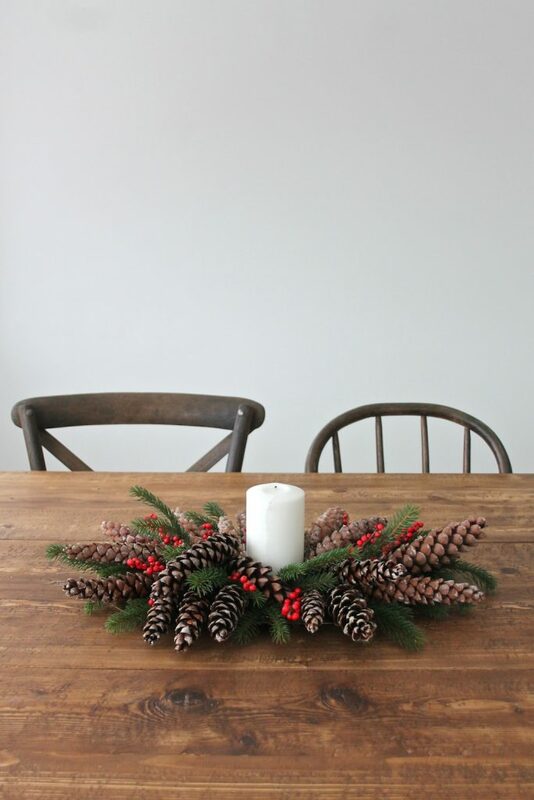 Get the how-to for a beautiful festive Christmas tablescape all done on a budget! Buffalo check is totally on trend in all the home decor stores! 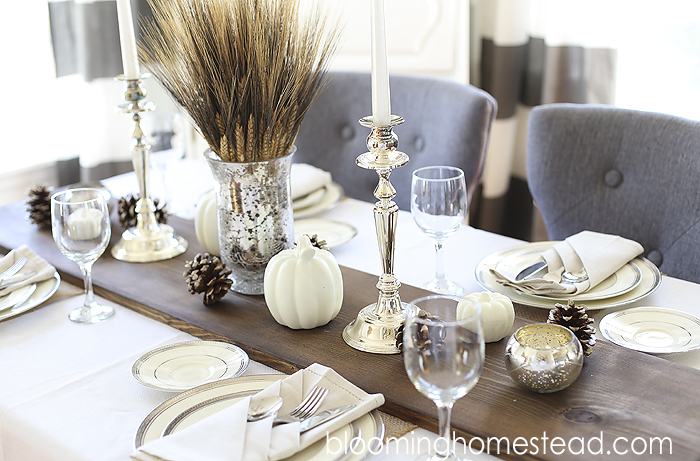 Silver & Gold is a classic Holiday color scheme. 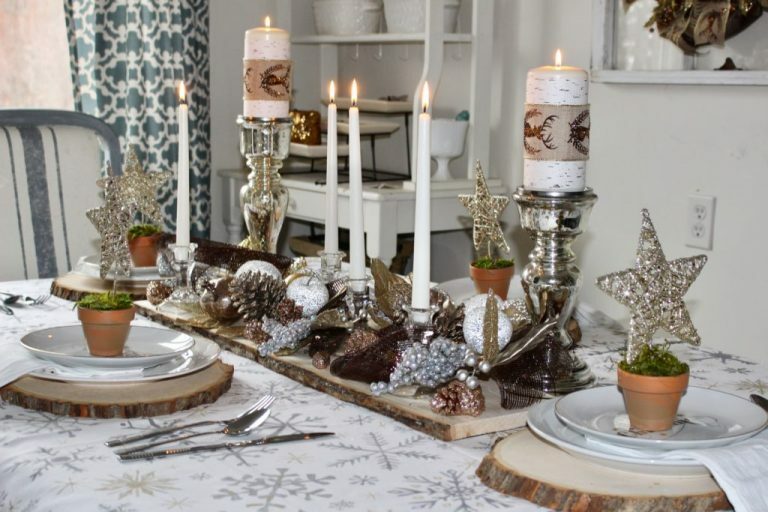 See what is used to create this festive tablescape. 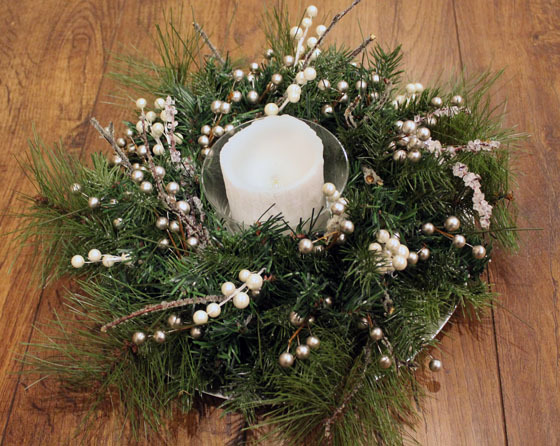 Gather pine cones and pine stems from your yard for another free but pretty Christmas Centerpiece. 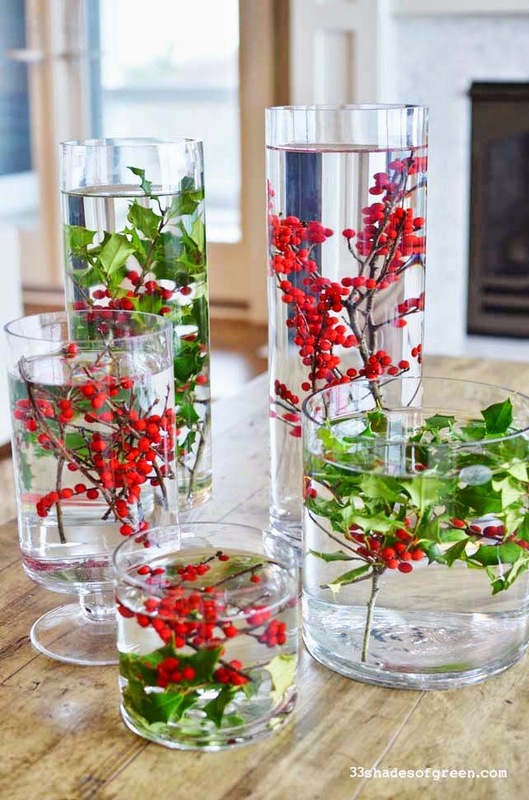 We love how pretty the holly berries look floating in glass vases. Another inexpensive idea! 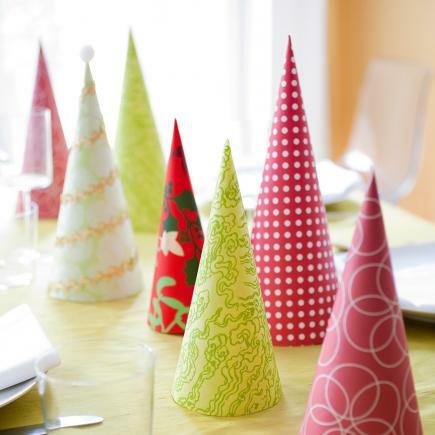 Paper Trees are so versatile and look great lining a table or even a mantel. Get the kids involved for a fun craft day! 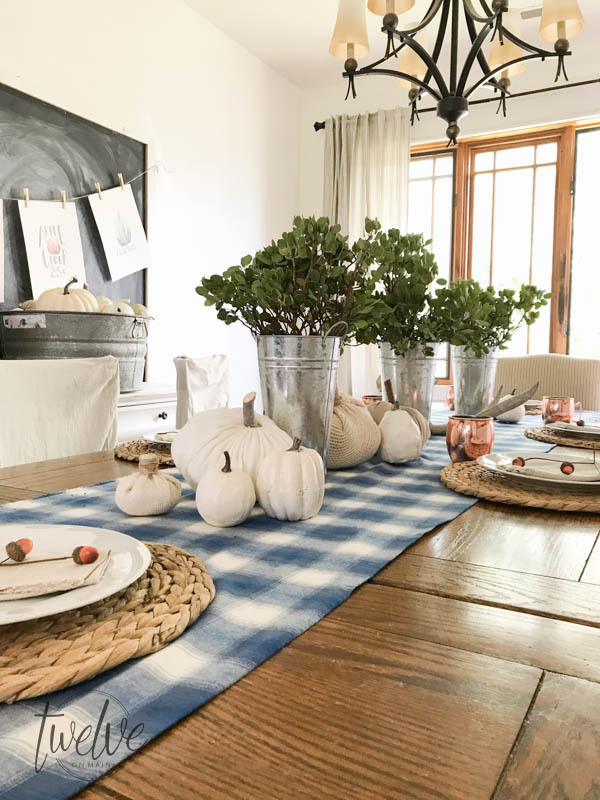 Tiered trays are another versatile centerpiece idea that you can change how seasonally. 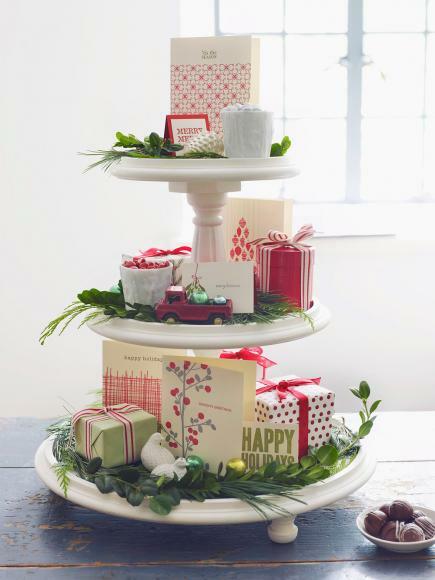 Add little presents for a cute Holiday display. 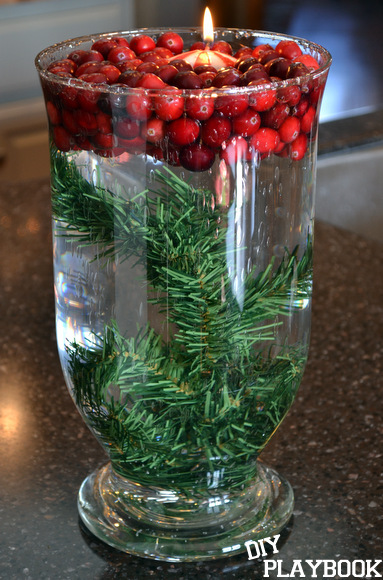 Cranberry's are a classic Christmas item that look great in clear jars floating with sprigs of pine. See how surprisingly easy it is to etch Dollar Store glass vases. 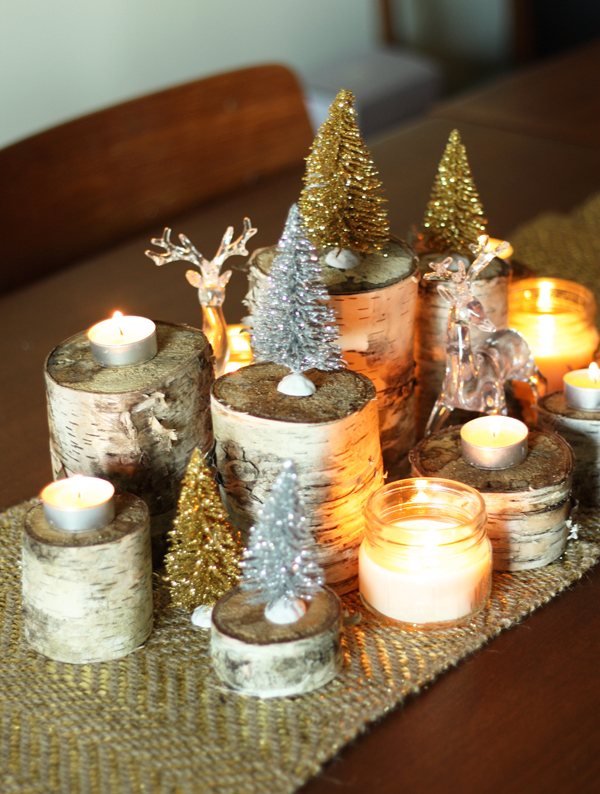 This neutral tablescape is perfect to keep up not only for Christmas but all winter long! 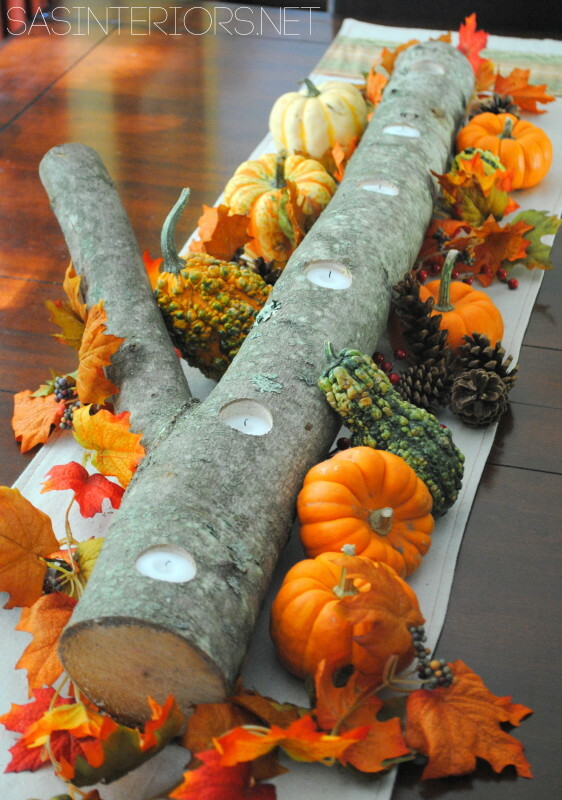 So what will you be creating for your Holiday Centerpiece this year? 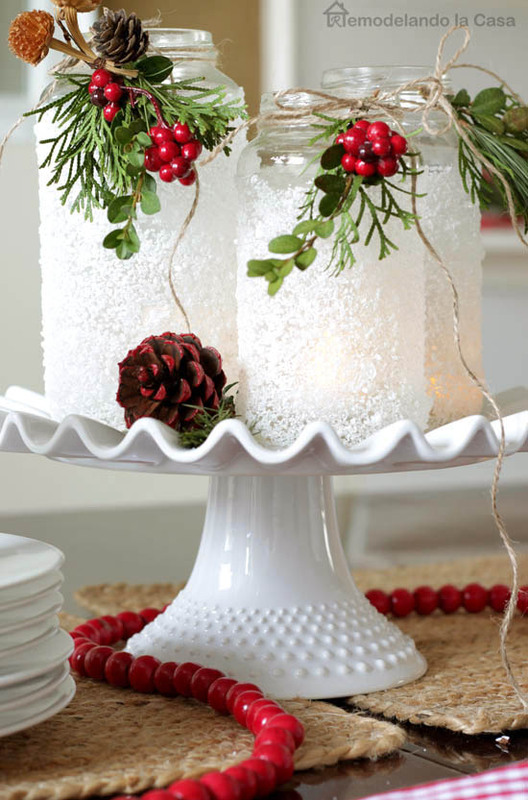 We hope these 22 Holiday Centerpiece Ideas will inspire you to DIY your own centerpiece! 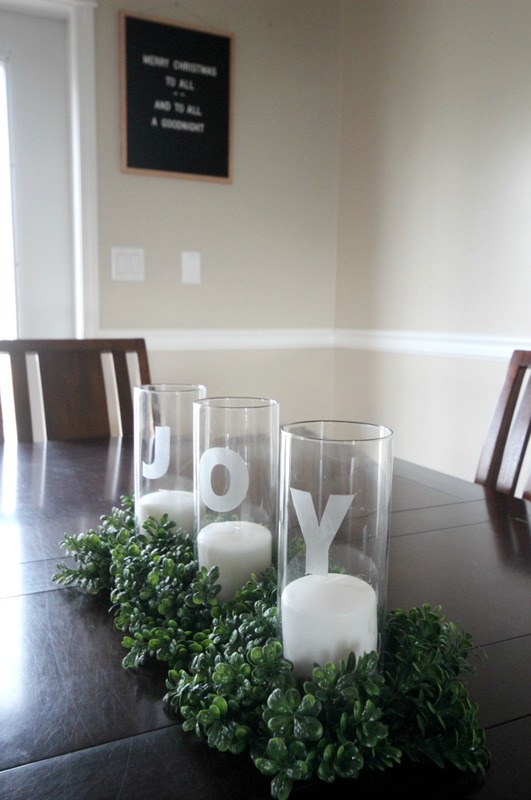 For more Holiday decorating ideas click here. . Thanks for visiting Smart Fun DIY. Have a great day! Taking the bus to Disneyland?! Very pretty! Hard to believer we are entering the holiday season when some of us are still running around in flip flops, LOL. Pinned for reference all season long, Jennifer! This is such an inspiring post with so many great ideas. 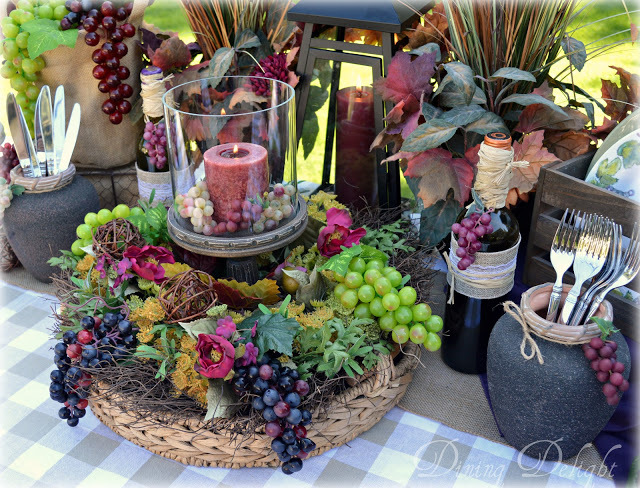 I’m featuring it at the Hearth and Soul Link Party this week. Thank you so much for sharing it! Hope to see you at the party. Have a great week!